Dubois Naval Architects was founded in 1977 and has since then, under head architect Ed Dubois, designed many beautiful and functional luxury yachts. With a focus on modern and technologically advanced sailing yachts, Dubois Yachts have created many of the significant yachts on the water today. Their yacht designs “marry seaworthiness with grace and this union spawns concepts which perform well at every level.” Their aim “is to produce yachts which perform their function perfectly." 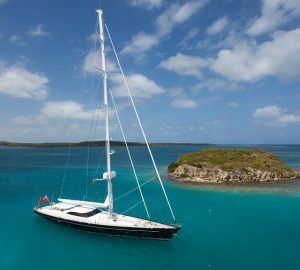 Earlier some of Duboi's yachts were built in Europe, although more recently Alloy Yachts has been the yard of choice as well as Fitzroy Yachts, both in New Zealand. 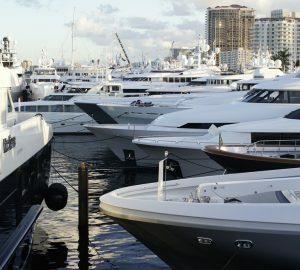 Here are some of the luxury yachts that may be chartered which have been designed by Dubois Yachts. Please contact us should you wish to enquire about a Dubois designed yacht.Dubois Naval Architects Ltd: Offering the Best Superyachts from Day One. Dubois Naval Architects Ltd. is a world renowned leader in designing first class racing yachts, sailing and motor yachts today. This could be due to the fact that Dubois’ first design, the Borsalino Trois, won the Three Quarter Ton Cup in the British Trials, the RORC Class IV overall prize, and the Solent Points Championship. Not only did the Borsalino Trois win all of these major races, but she won them all in her first year in the water. From that point forward Dubois Naval Architects Ltd. was a household name among yachting enthusiasts. More recently, Dubois launched the Como, a 134’ motoryacht with a stylish, contemporary design inside and out using marble to embellish the interior and a sleek silver exterior. The Como launched in November of 2006. The Red Dragon is a 169’ sloop sailing yacht that launched in 2001 and is the half-sister (hull designs are alike) to the 2007 Kokomo. The Kokomo boasts of a master stateroom plus four guest cabins, along with a captain’s suite and four crew cabins. The crew is a happy one with separate quarters including their own laundry, pantry and large galley. 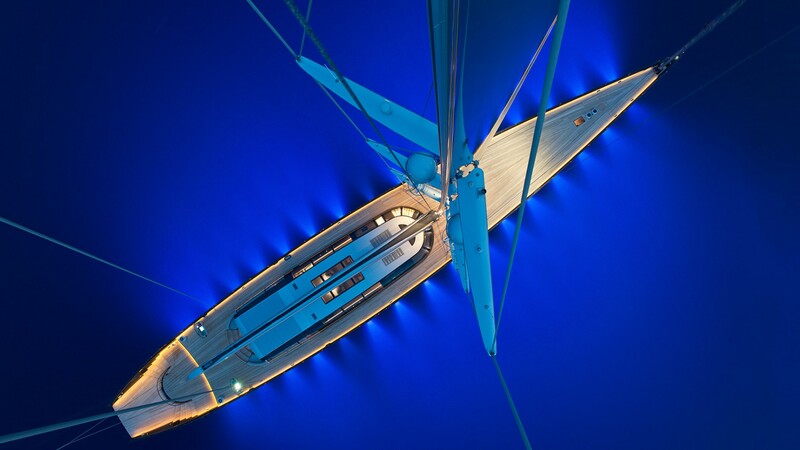 Kokomo is a fast cruising sloop style sailing superyacht. After the winning designs of the Borsalino Trois and later the Police Car, Dubois Naval Architects Ltd. was sought after by shipyards to design a series of production boats. In 1985 a yacht owner came to Dubois with some ideas of his own that he wanted turned into a super performing superyacht. They worked together and came up with one of the most innovative and technologically advanced vessels of the time. 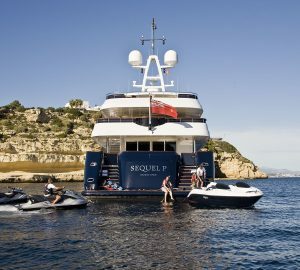 The Aquel II was the talk of every port she visited and it wasn’t long before private owners were seeking out Dubois to put their ideas into design. Today Dubois Naval Architects Ltd. is dedicated to designing innovative custom luxury yachts that are fast and perform better than any of the competition. They achieve this by communicating with not only the client but with every person commissioned to build the boat at all points of the process until delivery. They strive to have the best understanding of what the client wants as well as what the yacht needs to perform at its very best in the water. There are currently 13 yachts in build at Dubois. The smallest of these is the Alcanara, a mere 95.5 foot sloop fast cruising sailing yacht being built for an Australian client. The owner wanted a luxurious and fast sailing superyacht styling that was just under 100 feet long. The largest of the yachts in build is the 191.59 foot Kokomo, due to launch in 2010. This massive sloop sailing yacht is slated to be a significant advancement in the entire yacht design industry because it will not only be one of the largest sailing yachts, but also the best performing of all regardless of their size. Dubois Naval Architects Ltd. has certainly outdone itself, and the others, with this luxury superyacht.